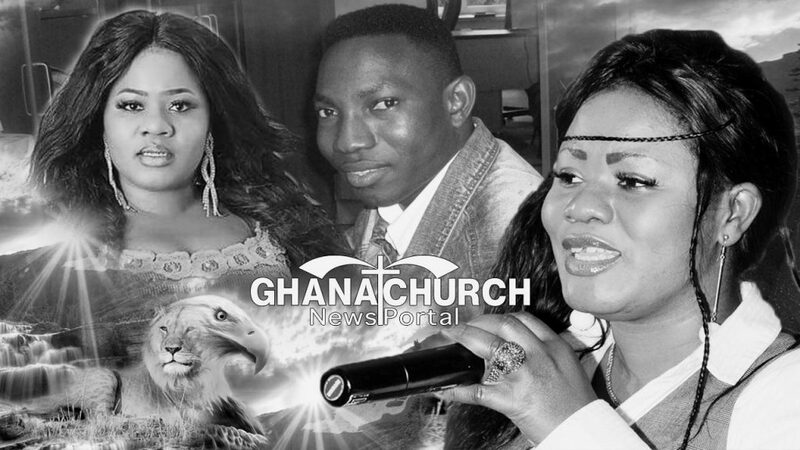 Home | Church News | Religion | Religious News | Why Weeping Prophet Jeremiah Is Taking Action Against Obaapa Christy, Nana Frankie & The Manager [Watch Full Video]. Ghanachurch.com analyst confirmed, Pastor Hammond Love and Christiana Adwoa Twene who came into the limelight as Christiana Love and now changed her showbiz name to Obaapa Christy were married for nine years with three children. 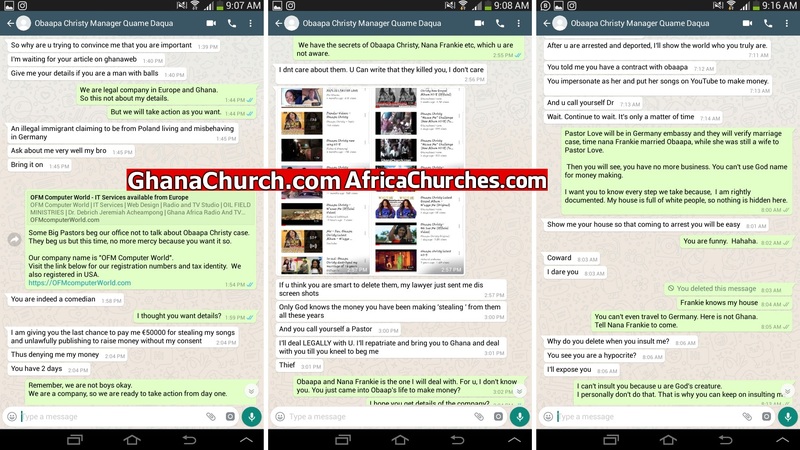 According to AfricaChruches.com, there was some marital misunderstanding between Pastor Love and Obaapa Christy in 2012 which brought about many issues. Legally Obaapa Christy is married to two men. Rev Adwoa Christy is not divorce with Pastor Love but married to Nana Frankie. Due to the above issue between the two, it seems Obaapa and Frankie fear Weeping Prophet Jeremiah. Although, Weeping Prophet Jeremiah has never granted any interview yet. Obaapa Christy called Weeping Prophet and insulted him as a thief, the manager double it. Because, of “W’gye Me” album on YouTube account which was not even monetizing. 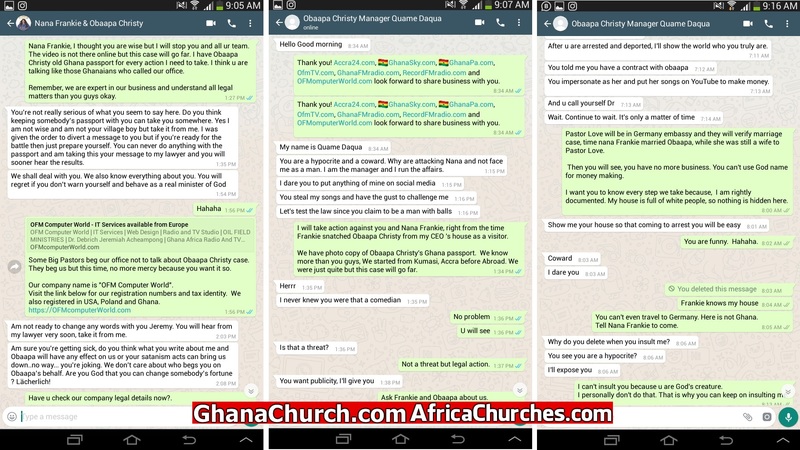 Obaapa Team wanted to deport weeping Prophet Jeremiah to Ghana as you can read from the chat. So, the ball is legally back to Obaapa Christy, Nana Frankie and their Manager. Kwame Owusu Daqua aka Quame Daqua is yet to see the results of his insults. Hence, this action is for justice and TRUTH, that will stay for the generation yet unborn. Below show chat details from Obaapa Christy, Nana Frankie and their Manager.